It’s been a minute since I talked about health stuff and I have reasons. But I think it’s time to dust off this old category because I have some things to say about sugar and how it keeps trying to build walls around my health. Yesterday I started training for the upcoming Walt Disney World Half Marathon in January. I’m going to be honest and say that I really didn’t want to run it. I had registered for the 2016 half and was unable to make it happen so I had to defer my registration to 2017. When I started thinking about it this summer (with dread) I realized I either had to go or lose the money. I don’t like losing money. My hesitation to run stems from an experience I had last year. In June of 2015, I ran a local half and in the 3 weeks post-race, piled on an unbelievable 20lbs. It literally happened overnight. I saw doctors, asked questions, tried to diet and still kept adding pounds. I was confused, angry and quite frankly depressed about the whole situation so I gave up. I decided this is what getting old is all about. This was me now. That attitude lasted over a year. I felt terrible and sluggish and defeated. So when I realized my training would have to pick up for the January race, y’all, I was NOT feeling it. So how did I get from there to here? Yesterday, my 30 minute run was slow but successful. I felt good and ready to continue training and enjoy my Florida race in a few months. Well, it’s been a process and I don’t believe for a second that it’s over. Earlier this summer, I decided to invest in some help from an online trainer. She tells me what to eat and how to exercise and I listen to her. It’s pretty much as simple as that. Over the past 10 weeks, I’ve been deep inside my head trying to figure out why my connection with food is so intense. There has always been a food element to every celebration, time of mourning, stress-release and fill-in-the-blank with your choice of emotion. There are two things that I’ve seen over and over in my adult life. One is a serious sugar addiction and how insidious sugar really is. Whenever I cut sugar out of the equation, my feelings are suddenly less hungry. I don’t crave what I used to crave and I am more clear-headed and able to discern real hunger from emotional hunger. But as I started this journey, I faced a real period of mourning for the social aspect of eating. I didn’t know how to celebrate without a special treat. I didn’t know what to do with my extra time if I wasn’t getting a slice of lemon pound cake to go along with my coffee. I didn’t know how to enjoy life now that I was drinking my coffee black. Based on some conversations, I’ve learned that people who don’t view food in this way tend to have a very hard time understanding this. But those who share these issues are sitting here nodding along. We know who we are. As I cut sugar from my daily meals and started to really put a focus on what I eat, I could hear my feelings loud and clear. I remember one morning, after a night of tossing and turning on the couch because my husband was sick and sleeping in our room, I woke up ravenous for a bowl of cereal. It was only a week or two after I had started eating clean and I sat there for a good 10 minutes imagining the cereal, how it would taste, what the texture would feel like in my mouth. And then I thought, ok so what if I just have the cereal? I mean, I had a rough night, today is going to be really busy and I just need something that feels good right now. It’s just cereal. I considered it like an alcoholic staring at a bottle. And I thought to myself, what is different about today? It’s busy, I’m tired after a rough night’s sleep. This is when I always cave. This is the hard part, don’t quit now. I didn’t have the cereal. For the rest of the day, I felt like a superhero. It was a major win for me and I knew it. I shared with a few people who support me and they knew it too. These feelings they are strong, but we don’t have to feed them. Like a bad boyfriend, sugar lies to you in your weakest moments and then kicks you in the gut when you’re down. Yes, there’s been a lot of talk about sugar lately. A new report on NPR is blowing the whistle on the sugar industry and how their influence has molded the way even scientists view the substance’s affects on health and reshaped the conversation. 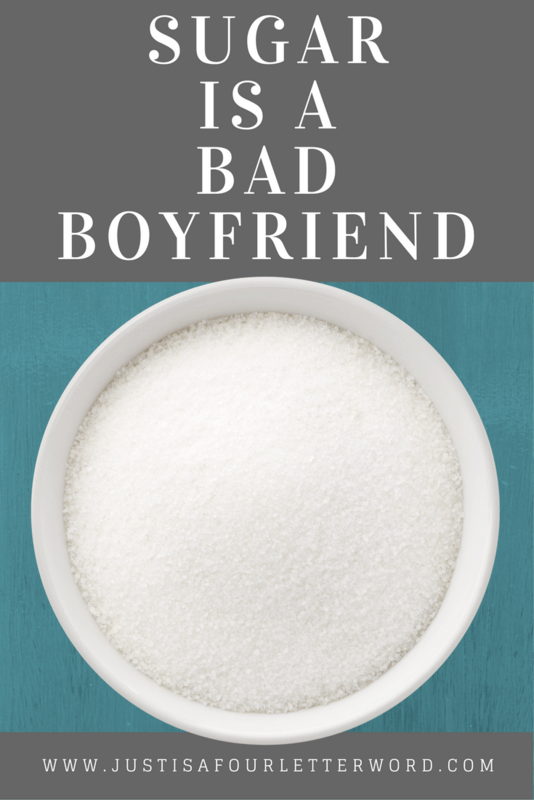 We know more now than ever before about how addictive and insidious sugar can be. But it’s literally everywhere. How do we escape? I’m not a know-it-all. I don’t have it figured out, but my one goal since I ever started thinking about health and wellness is to eat real food, try not to fall for fad diets, and face my real issues in a real way. Sugar is my real issue and it’s something I can no longer ignore. Yesterday, I felt good about my run because for the first time, I knew what to eat and how to eat it for the rest of the day. The exercise did not stand alone and as I learn more and more, I am gaining confidence that I haven’t had in the past. I no longer look to sugar as a reward. That’s not to say I will never have dessert again, but for now, I respect my limitations. My boys ask me if I will win the race. I say if I do, then I’m a monkey’s uncle. But then I remind them that we don’t have to win races to succeed. When I am strong and mastering the fears that used to control me, I find more value in that strength than any medal I could ever receive. So I’m off to the races once again. This time, with a clear head, a solid plan and a renewed vision of what matters most. It’s a good feeling and instead of hungry, this feeling is satisfied. Proud of you and excited for you. I need to kick sugar to the curb too. You’ve inspired me to try harder. I don’t have the sugar addiction but I’m definitely a social eater and food is a part of every celebration. And I don’t just mean birthdays and Thanksgiving. I mean, Yay! First day of school – let’s celebrate! Yay! Friday night – pizza time! Yay! Family outing on a Sunday – let’s have ice cream! I’m still learning to make food more functional and to realize it’s fueling my body and being aware of those effects firsthand is so helpful even when my diet and exercise routine are changing. I hope you are feeling good about you! I am! Thanks. It’s tough but worthwhile. And the way you described social eating is EXACTLY what I was talking about. It’s just fun! The social part is so much harder than I expected. Great post, Andrea. Yet again. I’ve been pretty much of a sugar addict all my life as well. But I’m also a bit of an exercise addict so it never manifested as weight gain, which made it easier to deny that it was bad for me. It’s so good we are waking up to the way sugar has snuck into our lives and our food, our every day all day. And the recent news about the sugar industry paying scientists to point the accusing finger at fat rather than sugar, is just the icing on the cake. One word of wisdom and sanity–don’t drink your coffee black. Heat your whole milk, make it a latte, it’s naturally sweet. Or add half and half. The dairy fat, as it turns out, is not the enemy. Love this – Sugar is not my friend either . . .and while I try to “eat better” I am a voracious snacker . . .just a nibble, a bite, . . .UGH! This is definitely an inspiration… I’ve been planning to run a half marathon for quite some time. It’s not gonna be this year, but some time in the future. I’m back to working out and getting these knees stronger so I can run without getting injured. I did not quit sugar, but reduced it quite significantly. It feels good! Trying to be stronger and healthier one day at a time is my plan! OMG, I could’ve written the same intro. 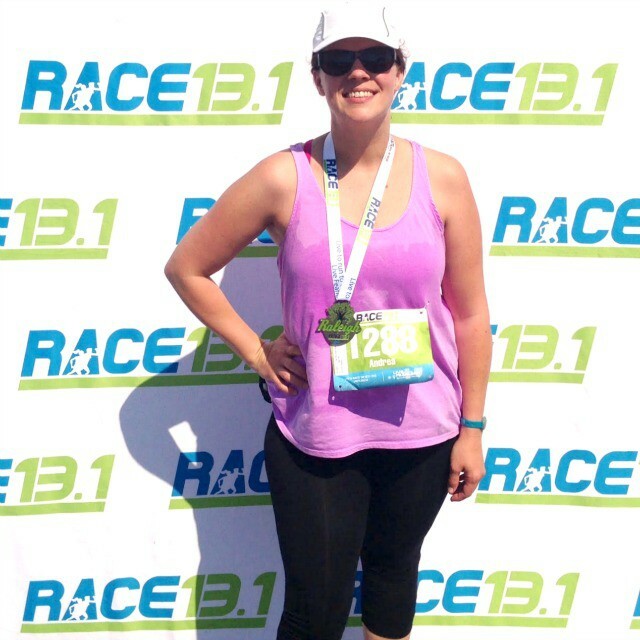 Ran my first half marathon and then piled on 20 lbs also! What is this? I’m trying to get back in the groove and have the same jerk boyfriend of sugar! Keep telling myself that in a week or so when the kids are back in school I can focus on me again; my exercise, etc. Honestly it’s a constant struggle and you are soooo not alone. Good luck!